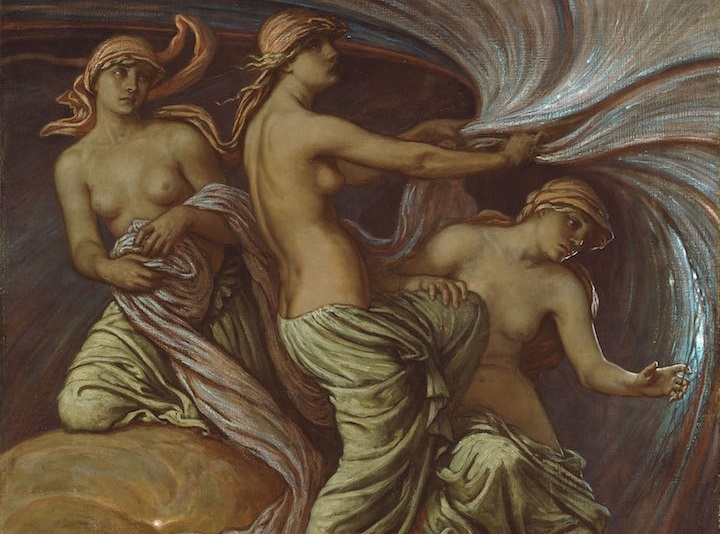 Detail from The Fates Gathering in the Stars, 1887, oil on canvas by American painter Elihu Vedder (1836–1923). (Click on image to see the full painting.) Wikimedia Commons. Thornton’s tapestry was minute when at the age of seven or eight in Madison, Wisconsin, he first heard the name Alcestis while reading or being read to from Bulfinch’s The Age of Fable. The story of the daughter of King Pelias, princess of princesses in the myth and the song of pre-Christian Greece, captured his imagination—and his heart. Alcestis, whose story is most famously depicted in a tragedy by Euripides, offers her own life so that her husband, King Admetus, might be spared. Wilder first began working on a modern adaptation as early as 1938, but events intervened. (“The Alcestiad was not a play for a war-torn world,” noted his sister, who was Wilder’s agent for most of his career.) He took the manuscript with him when he was commissioned as an Air Force captain, but his papers were lost when he returned to the States towards the end of the war. He made an attempt to reconstruct the work, but eventually put it aside for nearly a decade. At long last the play premiered at the 1955 Edinburgh Festival as A Life in the Sun, but generally unfavorable reviews led Wilder to withdraw the rights for the production. (The director admitted to the playwright, “I did not serve your play well.”) Wilder revised the play and decided to make a significant addition. A journal entry from December 1956 reveals, “How long I have aspired to write one of the lost plays of antiquity or to furnish . . . a satyr-play to a real or assumed trilogy.” Satyr plays are brief one-acts designed to lighten the mood after a three-part tragedy; Wilder emulated the Greek dramatic tradition by adding his own satyr play, The Drunken Sisters, to the end of The Alcestiad. The irony, as Wilder noted in his journal, is that Euripides’s Alcestis was itself originally a satyr play. The Alcestiad, with The Drunken Sisters, was translated into German and successfully produced in Zurich in 1957—nearly twenty years after Wilder began writing it and half a century after his boyhood encounter with the myth. An operatic version of The Alcestiad, with music by Louise Talma, had its world premiere in Frankfurt in 1962 and ended with a twenty-minute standing ovation and several dozen curtain calls, although a number of German opera critics dismissed the performance, in no small part out of antagonism towards the very idea of a female American composer born in France. 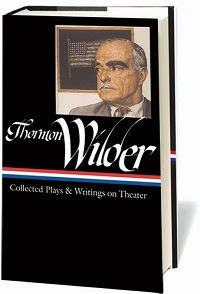 The first professional American production of the two plays was not staged until 1977—two years after Wilder’s death. 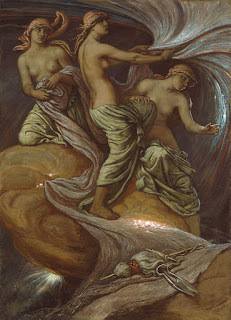 The three FATES are seated on a bench largely hidden by their voluminous draperies. They wear the masks of old women, touched by the grotesque but with vestiges of nobility. . . . If you don't see the full selection below, click here (PDF) or click here (Google Docs) to read it—free! I like the story. I like the dialogue between Apollo and the sisters. As a satyr play, it does evoke the lightness illustrated by the sisters. Although the ending is peculiar to me because it seems to abrupt. I would like to see both plays live.